Rita Moreno is one of the few performers ever to win an Oscar, a Tony, an Emmy, and a Grammy. On December 11, 1931, she was born Rosa Dolores Alverio in Humacao, Puerto Rico. After her parents’ divorce, her mother moved to New York City to find work and left her in the care of relatives. At five, Rosa was reunited with her mother and placed in an American kindergarten without knowing a word of English. The next year, Rosa began taking dance lessons. After years of performing at recitals and weddings, she made her Broadway debut at 13 in Skydrift (1944). She continued her performing career by singing in nightclubs and dubbing stars such as ELIZABETH TAYLOR and Margaret O’Brien for Spanish versions of Hollywood films. Spotted by a talent scout, she signed a contract with Metro-Goldwyn-Mayer in 1950. 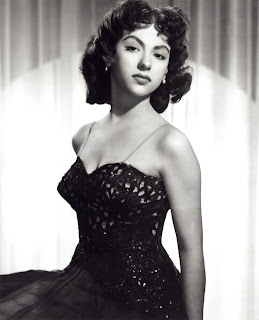 Using her stepfather’s last name, she was billed first as Rosita Moreno, then as Rita Moreno. Moreno was quickly stereotyped, playing spirited Mexican and Indian women in B movies. During her first decade in film, her few standout roles included small parts in Singin’ in the Rain (1952) and The King and I (1956). Moreno finally had her breakthrough in the role of Anita in West Side Story (1961). Particularly memorable was her performance of the song “America,” in which her character, a young Puerto Rican woman, celebrates the social freedom she has living in the United States. Moreno won an Academy Award for best supporting actress for her performance. Moreno followed this success with challenging nonsinging film roles in Summer and Smoke (1961), The Night of the Following Day (1969), and Carnal Knowledge (1971). She also appeared regularly onstage. One of her most memorable roles was that of Googie Gómez, a comically inept Puerto Rican singer in Terrence McNally’s The Ritz (1975). The role allowed her to lampoon the stereotypical Hispanic characters she played earlier in her career. It also won her a Tony for best supporting actress. In the 1970s, Moreno spent much of her time on television. She joined the cast of The Electric Company in 1971. This PBS series featured comic skits designed to help elementary students learn to read. Moreno and her other cast members won a Grammy for a children’s album based on the show. Moreno also won two Emmy Awards for guest appearances on The Muppet Show in 1977 and The Rockford Files in 1978. 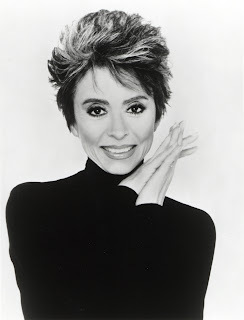 Moreno starred in two short-lived television series—The Rita Moreno Show (1978) and Nine to Five (1982–83)—and played recurring roles on several others, including B. L. Stryker (1989) and The Cosby Mysteries (1994). Since 1997, Moreno has portrayed a streetwise nun on Oz, the gritty HBO series set in a maximum-security prison. “Rita Moreno.” In Dictionary of Hispanic Biography. Detroit: Gale Group, 1996. Suntree, Susan. 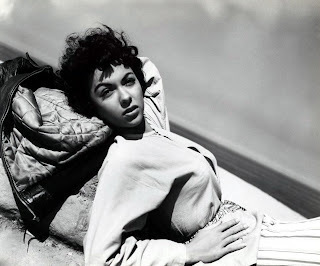 Rita Moreno. New York: Chelsea House Publishers, 1993. Carnal Knowledge (1971). MGM/UA, DVD/VHS, 1999. The King and I (1956). Twentieth Century-Fox, DVD/VHS, 1999. The Ritz (1976). Warner Studios, VHS, 1992. West Side Story (1961). MGM/UA Studios, DVD/VHS, 1999.